Hey guys! So my lipstick obsession continues with another addition to my MAC collection; Ariana Grande’s Viva Glam! When I saw how dark the shade was I was honestly so surprised because I associate Ariana with everything bubblegum pink and completely girly so this punky shade that reminds me of Rebel came as such a shock! With that being said I absolutely love this purple shade. 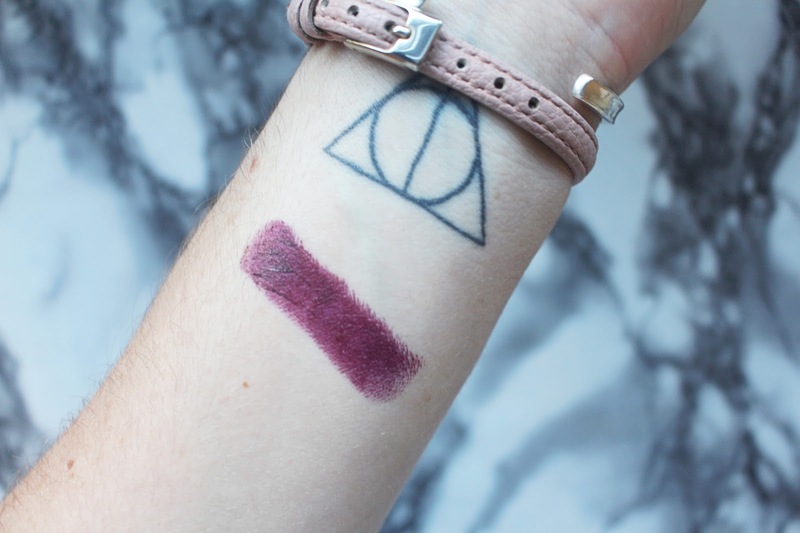 Purple isn’t a colour that I have a lot of in my collection and to be honest I’m surprised that they didn’t release this lipstick around Autumn time because I feel it would have sold better since everyone associated autumn with deep plum tones! 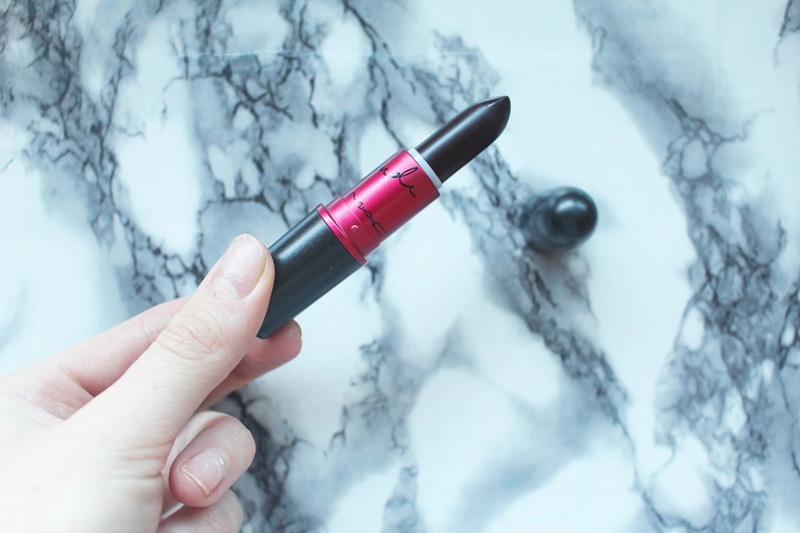 However, I love this shade it’s so edgy and wearable. I apply it using a small brush because I feel if you slip up with a dark colour it can be so obvious when you’re talking to someone! What do you think of this colour from MAC and Ariana? Will you be purchasing? All proceeds go to those affected with AIDs which is a great reason to get involved and buy a new lippie! Blemish Coverage & Flawless Finish!